Home Loans Why Was My Loan Application Denied?! 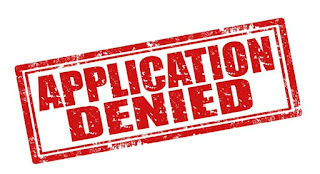 Why Was My Loan Application Denied?! Loans can be a very helpful way of securing some funds when you need help purchasing something important. They come in many shapes and sizes, and we've discussed some of the reasons you might consider getting one or not getting one before. If you’ve never heard of a credit score before, then it’s probably a good indication that this was why your loan was denied. Lenders look at this score to determine how good your credit history is. In essence, a high score shows you’re a capable borrower who always pays their credit back on time. A low one shows no evidence of you doing this. There are two main reasons your credit score could be low. The first is that you haven’t ever been in a situation for it to grow. This is usually the case for young people and students, and there is an easy fix to get the ball rolling. All you have to do is apply for a credit card and use it responsibly. This is the easiest way to grow a low credit score. You can even find ones that are targeted at students, as seen on studentcredit.cards. The longer you have your credit card, and the more you prove you’re a good borrower by paying your bills on time, the higher your score will be. The second reason your score is low is because you never pay things on time and have borrowed poorly in the past. To fix this, start paying your bills on time and get rid of any debt you may have. Another reason your loan application might have been denied is because of your job stability. Lenders are very reluctant to grant applications when someone doesn’t have a stable job. This is because they have no assurance that you can actually repay the loan. Think about it, would you lend someone money if they didn’t have a stable job and a regular source of income? I wouldn’t because I know they wouldn’t be able to pay me back on time. The only way you can fix this is to find yourself a stable job that guarantees you a regular income. The lender will like this and will be more inclined to approve you. Having said that, there is one other option; try and find a different lender. A different lender might be more relaxed and could approve your application without you having to do anything to change your current situation. At the end of the day, it’s probably a good thing that your loan application was rejected. It just shows the lender is strict, which means you should feel confident that they’re a good company to get a loan from. If they denied your application, they don’t think you can afford to repay the loan, so they’ve saved you some financial hardship. Address the two issues I’ve mentioned, and you should be in a better financial position to apply for the loan you need.